It's always refreshing when an anime series comes along that transcends fanboy hype, grabs you by the face and demands your attention. That series is Guilty Crown. Like a Eden of the East/Code Geass hybrid, Guilty Crown builds a world which is both instantly identifiable and futuristically foreign. Firstly, I can't believe that "From the Director of Shingeki no Kyojin" isn't plastered all over every piece of marketing for this series. Secondly, thankfully it isn't. Guilty Crown is better than that. This series, while somewhat lacking in originality, manages to thrill due to how unrepentantly bold it is. Unfortunately this boldness is at sometimes a detriment to the pacing and overall flow of the story. Director Tetsuro Araki and writer Hiroyuki Yoshino seem intent to keep you guessing through the entire series and like George R.R. Martin before them, they don't shy away from killing off major characters with little to no notice. The tone of the series never really wavers from its continual climb towards an overarching sense of foreboding which comes to a head throughout the last act, but instead the characters develop with sometimes catastrophic effect. Not only does this keep your attention, but also leaves you struggling to keep up with each twist and turn but never quite to the point at which the story would become convoluted. 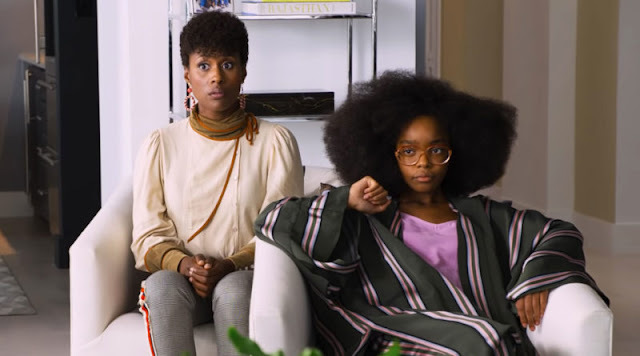 Instead, these plot twists almost demand a follow up viewing. The characters are all rather well realised in spite of the sizeable cast, which lends even more weight to those shocking despatches. With animation from Production I.G you just know that it's going to look fantastic and this series won't disappoint. Further to this, there are a few little nods to fans of the studio with certain poses and, the most recognisable, the use of thermal imaging camouflage. Major Motoko Kusanagi anyone? A few of the backgrounds, particularly when CGI is used, can look a little out of place but the overall animation quality is fantastic, particularly the gradual shift from near future Japan to dystopian war zone. Of course, with animation this pretty Blu Ray would be the recommended format for viewing. The music has flashes of brilliance but is for the most part lacklustre which is, to be honest, terribly disappointing considering Hiroyuki Sawano's brilliant work on the Blue Exorcist soundtrack. Add to this the unnerving auditory embodiment of the uncanny valley in Supercell's opening and closing themes and you've got a bit of a train wreck. The soundtrack isn't necessarily bad, it's just not particularly good. It seems odd then that the story, which highlights the utter ugliness of the human condition through many a tired cliche, seems to be executed so well. 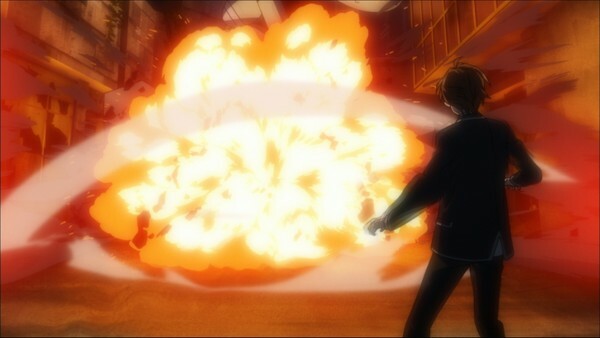 Guilty Crown is as enjoyable as it is due to its execution more so than its composition. 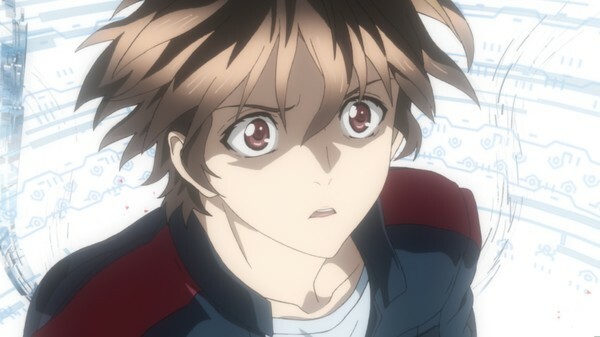 Sure, Guilty Crown borrows heavily from well established science fiction tropes but it gets away with it in no small part due to the sheer chutzpah displayed. 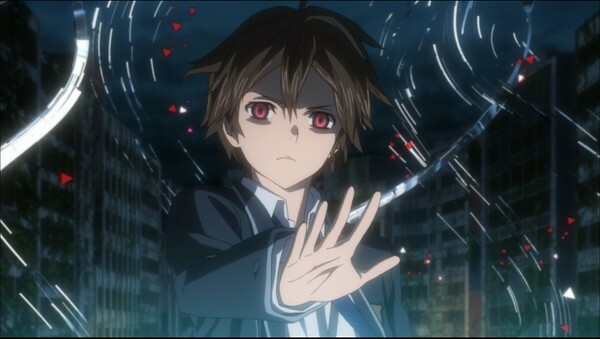 Bold, brash and ballsy, Guilty Crown is an action-packed, twist-a-minute series which is damn pretty to boot! One thing that Guilty Crown delivers in spades is a great crescendo and eventual pay off, a finale that will leave you equally pleased and emotionally exhausted. 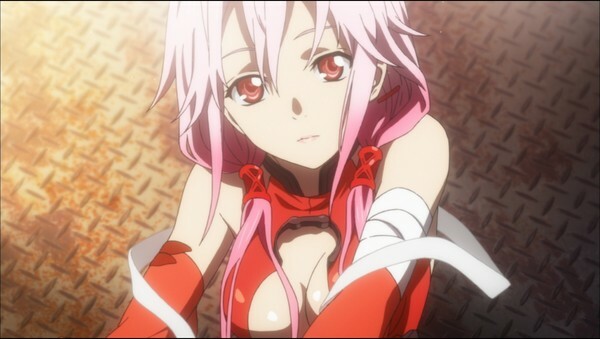 Guilty Crown Collection 1 and 2 are available on DVD and Blu Ray from Madman now.